Grant Davis-Denny is a litigation partner at Munger, Tolles & Olson whose practice focuses on taking complex matters to trial and counseling clients on rapidly changing areas of law. Mr. Davis-Denny’s trial experience includes some of the country’s most complex cases, such as the Deepwater Horizon litigation following the 2010 oil spill in the Gulf of Mexico as well as a three-month antitrust trial involving billions of dollars in claimed damages. Mr. Davis-Denny also counsels companies in the areas of data security, privacy and antitrust. His data security and privacy practice includes proactive compliance advice, incident response and litigation. Mr. Davis-Denny holds a CIPP/US certification from the International Association of Privacy Professionals. In the area of antitrust, Mr. Davis-Denny helps companies design effective compliance programs, conduct internal investigations and litigate claims of anticompetitive conduct. Mr. Davis-Denny has served as a deputy city attorney for the Los Angeles city attorney’s office and tried three criminal cases to verdict. Mr. Davis-Denny is a member of the board of directors of the Western Center on Law and Poverty and the board of directors of the Los Angeles Metropolitan Debate League. He is also a member and former chair of the board of directors of California Common Cause and a former member of the Los Angeles County Bar Association’s Judicial Election Evaluation Committee. 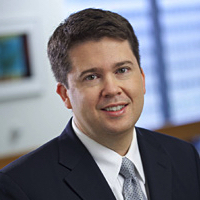 At Munger, Tolles & Olson, he is the co-chair of the firm’s Information Technology committee. Mr. Davis-Denny graduated from UCLA School of Law in 2003 where he was elected to the Order of the Coif, was a member of the UCLA Law Review, and was a member of the Program in Public Interest Law and Policy. Prior to attending law school, Mr. Davis-Denny worked for elected officials Kathleen Sebelius and Tom Torlakson.